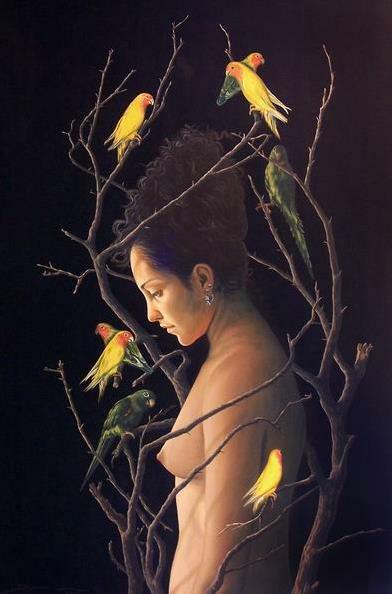 Denis Nunez Rodriguez was born in Mantanzas, Cuba in 1967. 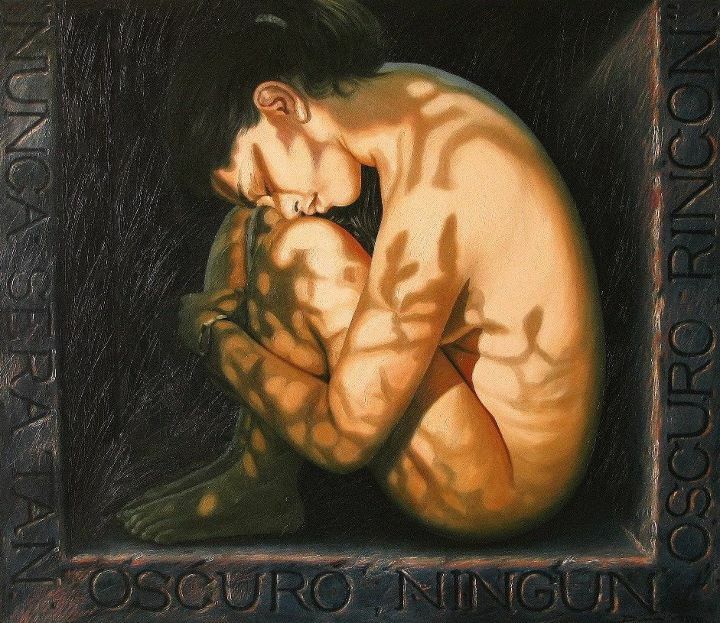 He studied drawing and painting in Cuba`s National Art School and graduated in 1986 as a painter and professor of painting and drawing. Núñez has held numerous solo exhibitions in Cuba and worldwide. 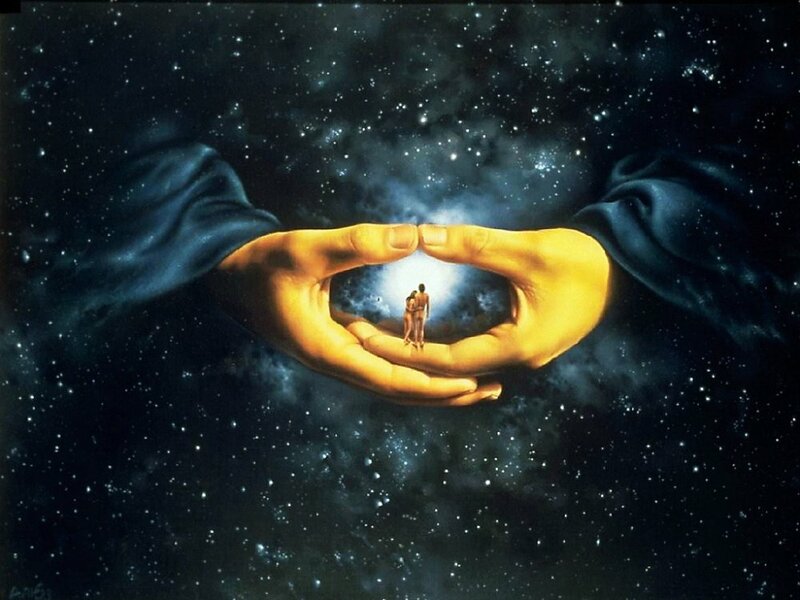 Hisworks have been recognized with numerous awards and most of them illustrate book covers of famous authors. 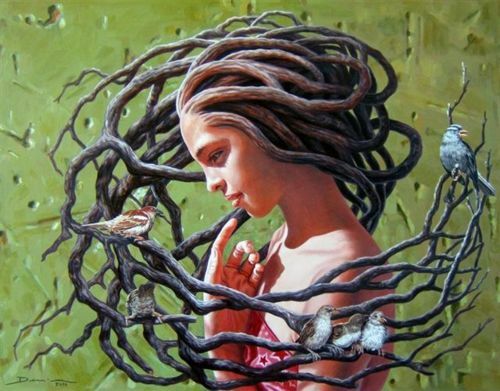 I saw a painting of his, of this woman with dreads that were actually drawn as branches of a tree, branching out around her and adorned with birds. 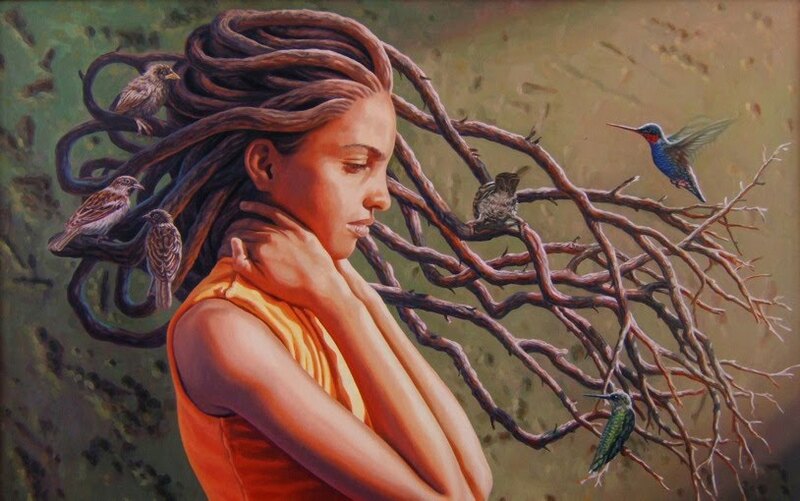 This picture really resonated with me and drew me in because it evoked the truth that we are all connected to nature around us. 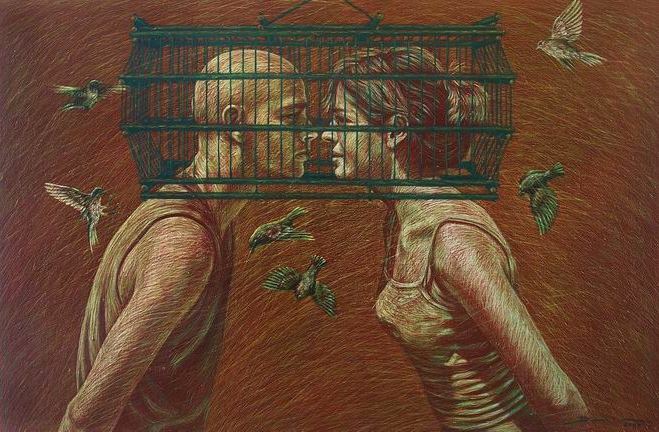 Its a great depiction of the nurturing nature of woman.